How do I upgrade my plan or change my plan type? As your business grows your email/subscriber list grows as well. When using email marketing, it is essential to understand how to effectively use email marketing to your advantage. At MyBizMailer, we have different plans depending on the size of your email list and/or the number of messages you send per month. Make sure that you're logged into your MyBizMailer account. Hover over the "Dashboard" area and then click on "Account Settings"
Once you have located your “Upgrade Plan or Buy Credit” option, you can now see information on your current plan. On your left hand side you will find information regarding your plan type, billing due date, plan charges, and total number of emails/subscribers allowed to send based on your current plan. On your right hand side, you will find account statistics, and credits/subscribers used so far. 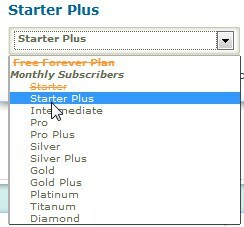 You can now see what type of plan will best fit your needs based on the size of your email/subscriber list. After choosing your desired plan, you will be asked to put your credit card and your address information in order to complete your transaction. After your transaction is completed, you will be able to use your new plan right away. 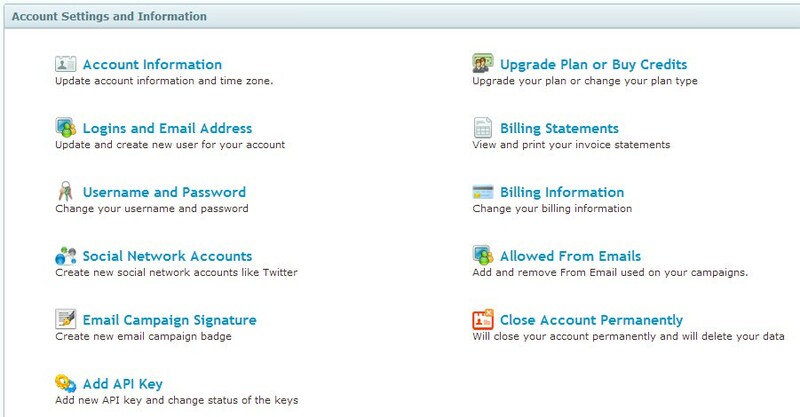 Your next billing date will be one month after your upgrade and your account will be charged automatically. You have now upgraded your plan and are ready to take your business to a new level. Remember, you can always contact us if you have any trouble when changing your plan or anything else you need help with. We're always here to help you!